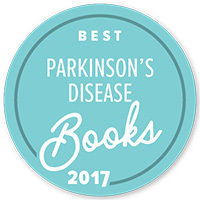 AsoftVoice.com Recognized as one of the Best Blogs on Parkinson’s Disease for the 4th Year in a Row! I am so grateful and honored to announce that for the fourth year in a row Asoftvoice.com has been chosen by Healthline.com as one of the best blogs on Parkinson’s! I am elated to be picked with so many outstanding bloggers and such exceptional websites that I respect so highly! I congratulate all of my friends and fellow bloggers who also received this award! 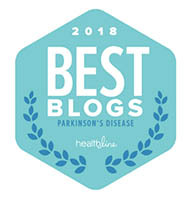 Thanks to Healthline.com for including AsoftVoice.com as one of their 2018 Best Blogs Parkinson’s Disease and everyone who reads this blog! I hope that I can provide content that you will find to be interesting, educational, and helpful! Thank You! 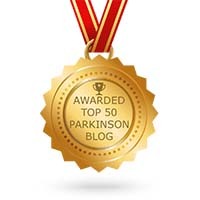 Posted on May 21, 2018, in Education, Education & Support, Health, Media & Trends, Parkinson's Disease, Wellness and tagged 2018 Best Blogs Parkinson's Disease, a soft voice in a noisy world, AsoftVoice.com Recognized as one of the Best Blogs on Parkinson's Disease for the 4th Year in a Row!, Best Blogs, blog, book, Disease, doctor, doctors, Health, Healthline, illness, Karl, Karl Robb, media, medicine, news, support, wellness. Bookmark the permalink. Leave a comment.